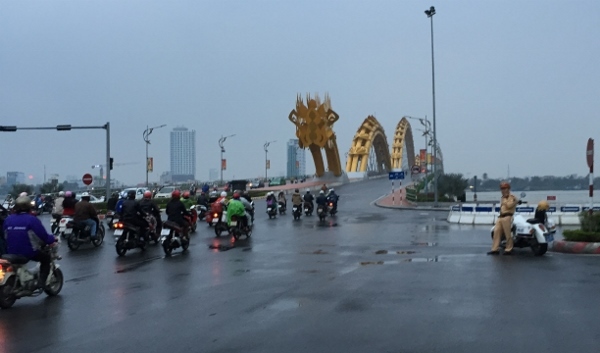 I’ve just returned from a trip to Southeast Asia which included stops in Singapore, Bangkok, and a side trip to Da Nang, Vietnam. Part of the reason for the trip was to attend the Singapore Do – and the other reason was to fulfill my desire to fly Thai Airways Royal Silk First Class. I have flown some great products in the Star Alliance group, but this was one I definitely wanted to add to the list! 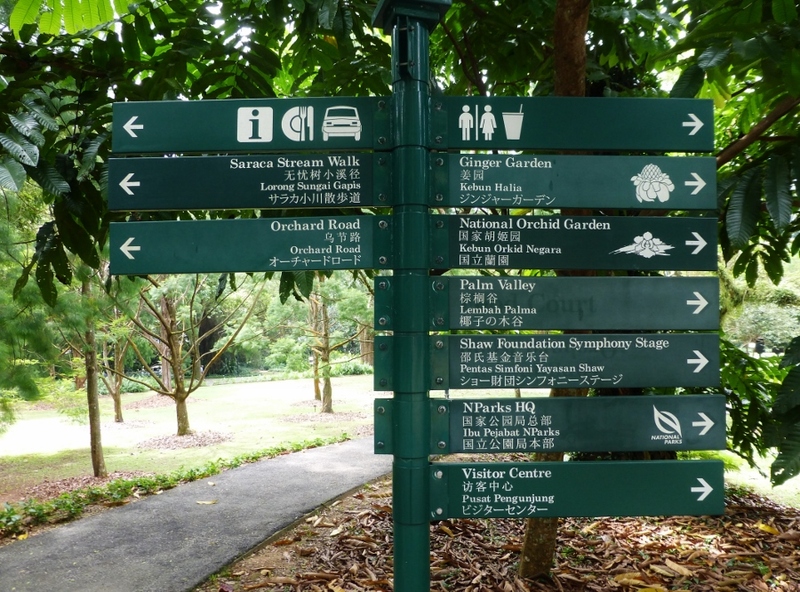 I booked my ticket in March of 2014 and spent the next ten months just praying that there would be no changes to the itinerary. After the US Airways/American merger, with US Airways leaving Star Alliance, it would have been close to impossible to make any changes to the itinerary had there been a schedule change. This was an award ticket booked through US Airways and the cost of the ticket was 120,000 miles and $141.00 in taxes and fees. 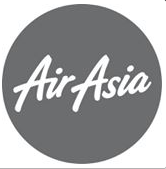 I was not disappointed in the Thai flights at all and quite frankly, find the service to actually be slightly better than Singapore Airlines which typically takes top honors for Asian carriers. 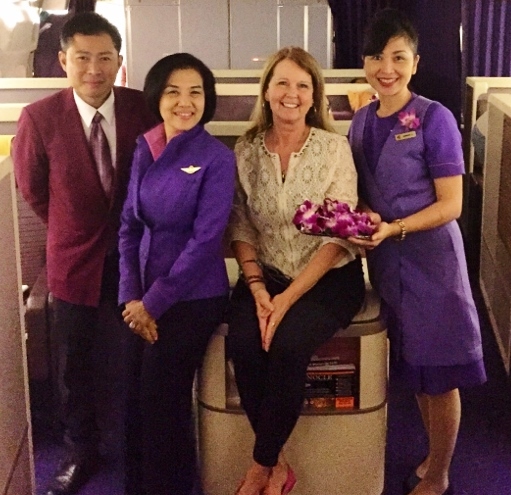 I have sometimes read criticisms of Thai Airways crews, but could not have been more delighted with my crew on the 747 flight. They were pleasant, smiling, and attentive throughout. 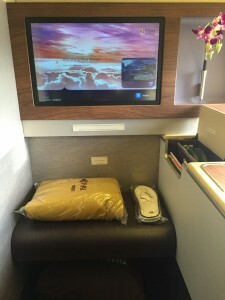 The new seat configuration on the 747 are called suites although they do not have closing doors but do offer a greater amount of privacy than the old lie-flats. 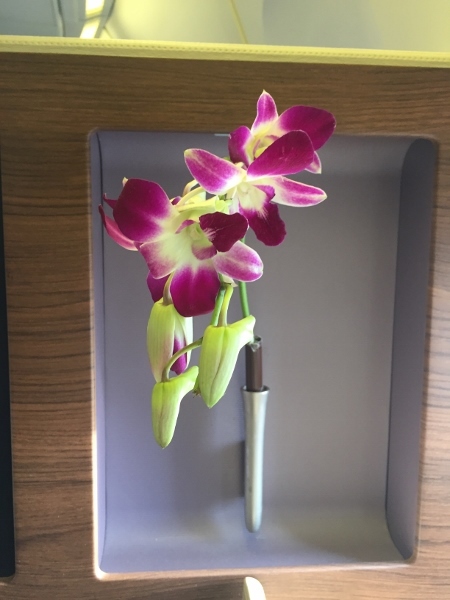 Each seat is graced with an attached vase of orchids which add a classy touch to each suite. Initially I was seated in the middle section, but was pleasantly surprised when the gentleman in 2K was kind enough to switch seats allowing me to have a window seat. Immediately after taking my seat and getting settled, I was offered a glass of Thai’s signature Dom Perignon, a menu for the flight (which I forgot to photograph), and pajamas. I’m not sure what I was expecting (lavender color maybe?) but these pajamas were definitely on the plain side – a muted gray with Thai Royal First embroidered on the hem of the shirt. 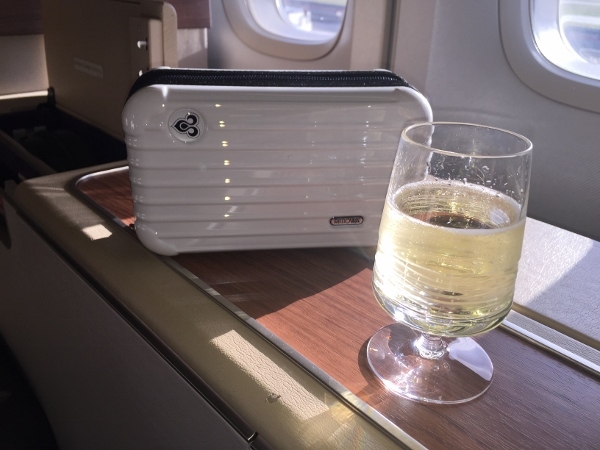 The amenity kit for this flight was already in place – a white miniature Rimowa containing L’Occitane products. Dinner service started with an amuse bouche of pork satay with peanut sauce, followed by caviar service. 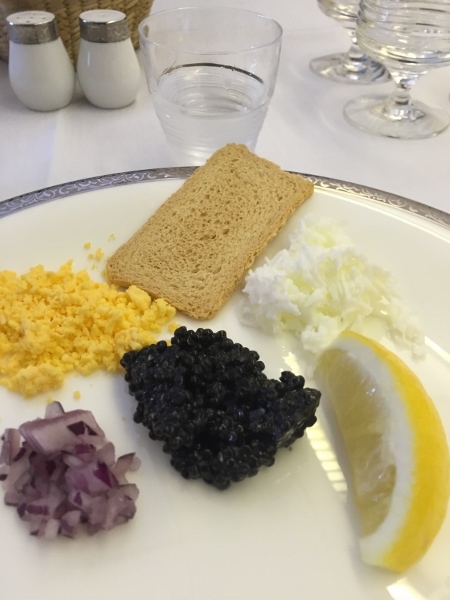 I can’t think of anywhere better to enjoy caviar and vodka served in a frozen glass than at 38,000 feet! 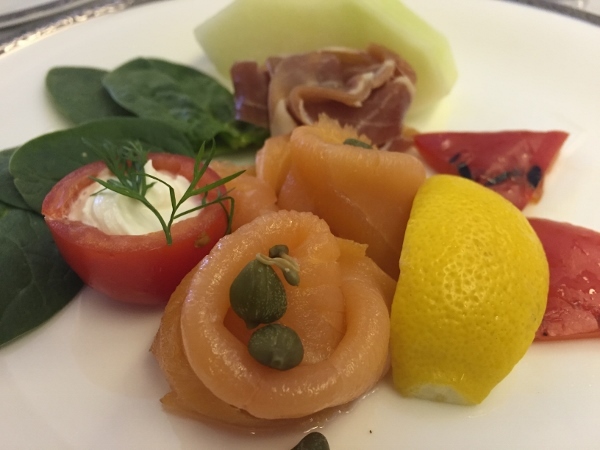 The first course consisted of spinach, prosciutto, smoked salmon with capers and melon salad. 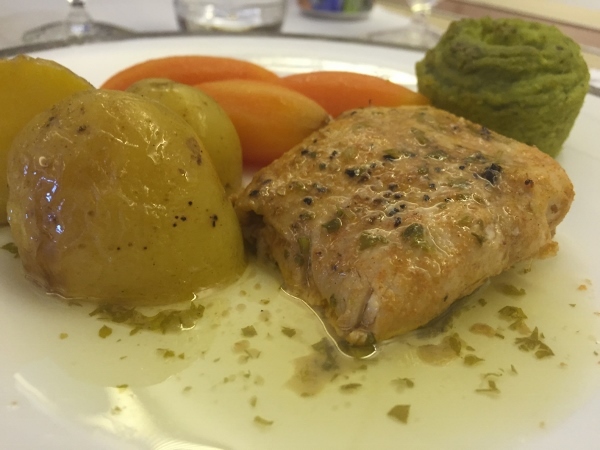 For the main course, I did not want anything too heavy so I chose the Sea Bass served with a side complement of Spinach Soufflé, potatoes and carrots. 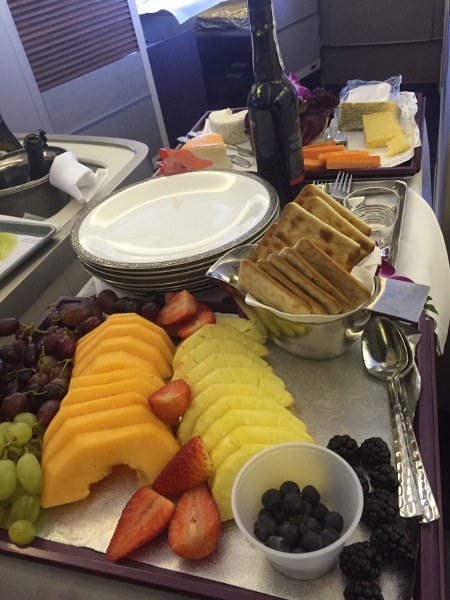 The main course was followed by a fruit and cheese service. I’m sure there was dessert, but, as usual with dessert courses, I probably tucked into it pretty quickly and forgot to take a picture! 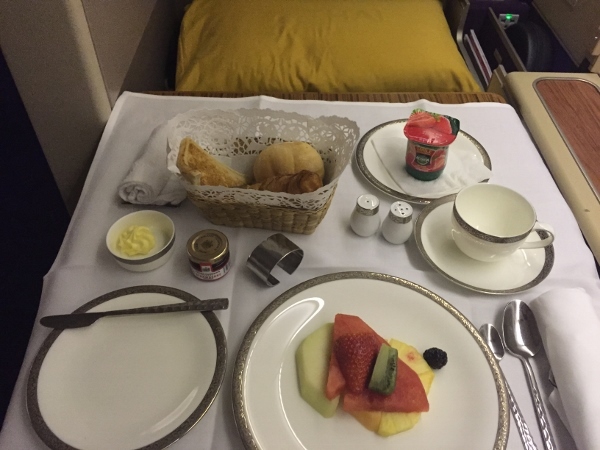 After dinner I headed to the lavatory to change into my pajamas while the flight attendant turned my seat into a bed. She added a comfortable pillow-top lining on top of the seat, a silky soft comforter and pillows. It wasn’t long before I was sound asleep and actually managed about six and a half hours of solid sleep before waking for breakfast. After breakfast, I had just enough time to dress for landing. And…. one photo opportunity with the crew. It was an absolutely wonderful flight. 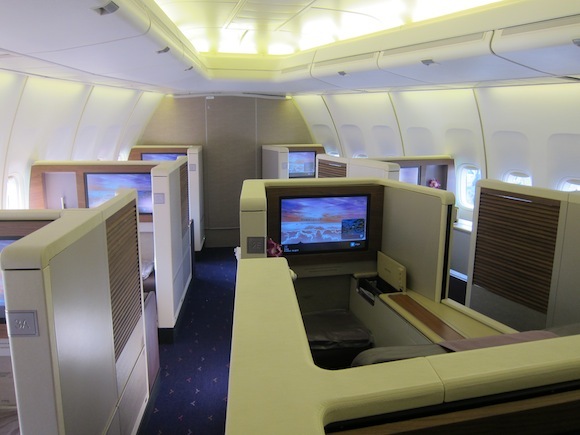 The newly configured 747 is bright, airy and the suites are private, but not over the top. 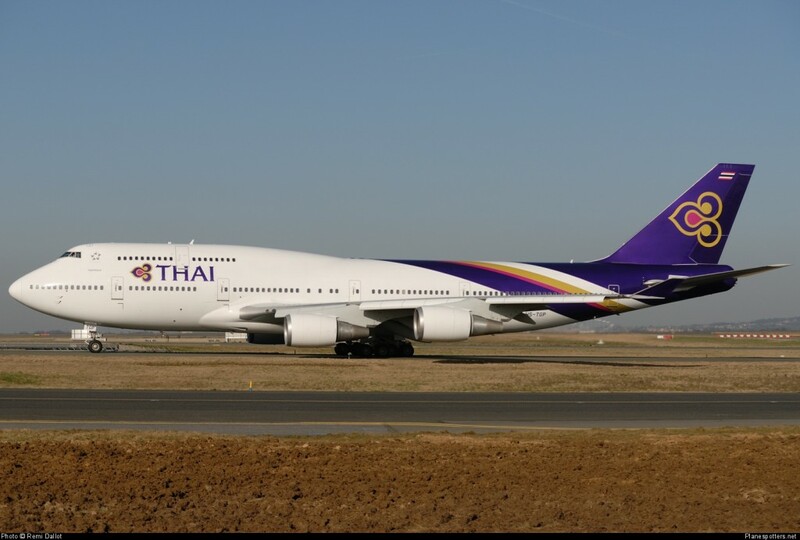 At this point in the trip, I was definitely looking forward to comparing this with the A380 on my return from Bangkok to Frankfurt! 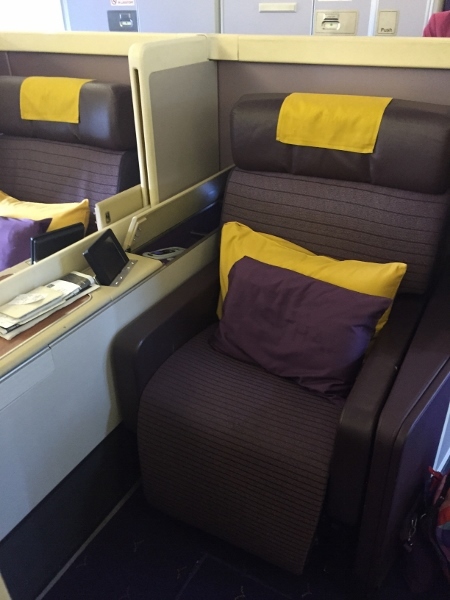 1 Comment on "Thai Airways Royal First – Boeing 747-400 LHR-BKK"
Great itinerary & glad you finally got to experience Thai First Suites & I agree, lovely seats & crew, plus their private lounges are super nice too!